Cabin safety contributes to the prevention of accidents and incidents, the protection of the aircraft’s occupants, through proactive safety management, including hazard identification and safety risk management, and the increase of survivability in the event of an emergency situation. With a total of 50 fatalities for scheduled commercial operations transporting 4.1 billion passengers, the year of 2017 had a global fatality rate of 12.2 fatalities per billion passengers.A review of ICAO accident data from 2013-2017 involving commercial scheduled air transport indicated that there were average 2.6 accidents per million flight departures yearly. The fact that most occupants survive accidents can be linked to improvements made in occupant protection. These improvements result from survival factor investigations, which address cabin safety aspects during accident investigations. 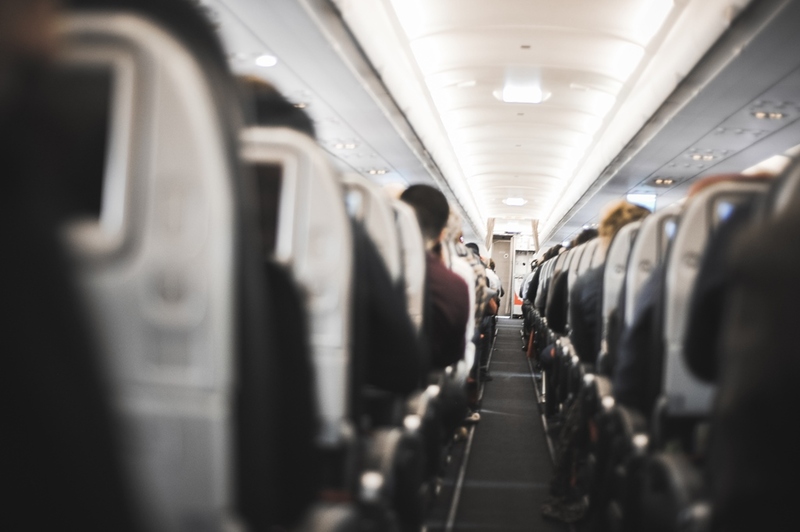 16G Seats: 16G dynamic standards for all passenger and cabin crew seats improved protection against serious head injury (where head contact with seats or other structures occurred). 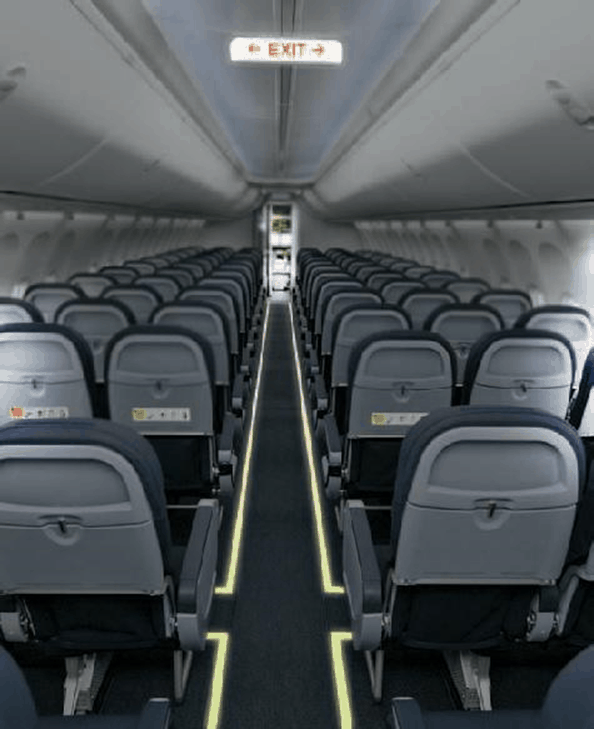 The 16G seats also protect crew members from serious chest injury when upper-torso restraints are used, and prevent occupants from being trapped in their seats due to excessive seat deformation. Fire retardant materials: Cushion material provides 40 to 60 seconds of additional time for aircraft evacuation compared to the previously used cushions. Improved test standards for large surface area panels (e.g. ceilings, walls, galleys, overhead bins, and partitions) have been implemented since 1985 to delay the onset of a cabin flashover (flash fire) event. The improved standards give passengers and crew members more time to evacuate the aircraft after an accident. This improvement in cabin material flammability was demonstrated to delay flashover in the cabin. Floor proximity emergency escape path marking: this aids passengers by marking evacuation paths and identifying exits utilizing illumination sources close to the floor. This system is aimed at improving the evacuation rate under significant smoke conditions in the cabin. Low heat/smoke release tests: the requirement for aircraft cabin materials (e.g. ceiling, sidewall, stowage bins, partitions) to meet low heat/smoke release tests help reduce heat and smoke in the aircraft. Radiant heat resistant evacuation slide: in 1983, changes made to Technical Standard Order (TSO) for emergency evacuation slides to incorporate a radiant heat test for slide material improved the ability of a slide to resist heat from a large fuel fire nearby. 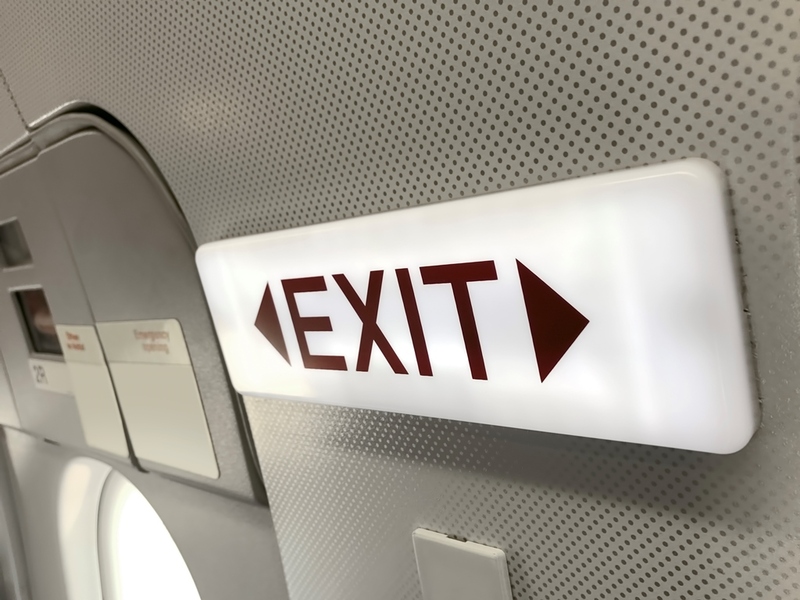 Exit sign: The minimum width specified for the passageway from the aisle to the exit for aircraft with 60 or more passengers was modified to improve access to Type III exits. Egress rates through the exits were found to be faster than previous narrower passageways. Use of an Automatically Disposable Hatch (ADH), instead of the conventional Type III exit for new aircraft types, removes manual intervention to ensure that the hatch’s final location after opening does not impede the evacuation path inside or outside the aircraft. Distances between emergency exits: since 1989, for aircraft with more than one passenger emergency exit on each side of the fuselage, no passenger emergency exit must be more than 60 feet from any adjacent passenger emergency exit on the same side of the same deck of the fuselage. This is meant to ensure adequate exits for passengers’ use in an emergency. Exits are required to be distributed as uniformly as practicable, since this is considered to provide a reasonable seat-to-exit and exit-to-exit distance. Many of these significant improvements date back to the 1980s, when accidents were more frequent. As aviation’s safety record has considerably improved since, the field of cabin safety now focuses on proactive initiatives to prevent accidents and possible fatalities. In 2014, ICAO launched a competency-based approach to cabin crew safety training, to ensure that cabin crew members can best respond to emergencies on board. In 2015, work was undertaken to promote the use of child restraint systems for the safe travel of infants and children and prevent injuries during flight. The challenges related to cabin safety are continuously evolving and require ongoing improvements. The proliferation of Lithium batteries in many devices carried by passengers and crew has led to a recent revision of cabin crew firefighting procedures to mitigate the risk of inflight fires. The digitalisation of safety information is creating a move towards cabin-electronic flight bags (C-EFBs). New security threats call for procedures and training to respond to chemical, biological and radiological incidents, as well as suspected cases of trafficking in persons, for cabin crew members to identify and respond to these situations adequately. ICAO published the Manual on the Investigation of Cabin Safety Aspects in Accidents and Incidents (Doc 10062) to encourage the uniform application of the Standards and Recommended Practices (SARPs) contained in Annex 13 – Aircraft Accident and Incident Investigation, particularly in relation to survival aspects. It provides information and guidance to States on the procedures, practices and techniques that can be used when investigating cabin safety aspects of an occurrence. It is the first ICAO manual dedicated solely to cabin safety in investigations.